Do you wish to give your interior an all-new look and feel by renovating it with a new flooring surface? Few renovations do as much to bolster homeowners’ remodeling efforts as changing the choice of flooring in any given room. Curating a modern, desirable aesthetic is simple and affordable when you visit Flooring America of Seattle. 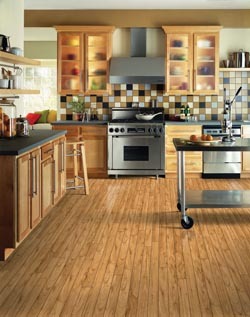 At our expansive showroom, we proudly carry an impressive selection of laminate flooring in Seattle, WA. You don’t have to settle for an outdated style in your space. If you’re tired of seeing underwhelming floors, update your interior with one of our many laminate choices. No matter what your taste or preference, you’ll surely find exceptional choices that should serve your design aspirations well. Many homeowners long to augment their spaces with the classic appeal and beauty of natural hardwood and stone flooring. While these materials offer a remarkable look, they can also be quite costly. If you’re planning to redress a great deal of floor space, our look-alike flooring stands as an attractive, budget-friendly alternative. Visit our showroom to find laminate tile flooring, laminate wood flooring, and several other choices that are sure to complement your designs visions without breaking the bank. When you step foot in our expansive showroom, you discover a world of interior design possibilities awaiting you. At your request, one of our courteous staff members will gladly walk you through the selection process. After determining your budget and project goals, we’ll help you find an ideal laminate flooring choice that fits your unique needs. Choosing a material that offers the look you desire and is manufactured with longevity in mind is essential to the flooring process. Solid hardwood is one of the most desired flooring options, but it may not be the ideal choice for a busy lifestyle or for spaces that are subject to a great deal of moisture. Laminate wood flooring is so popular because it offers the timeless look of real hardwood without the worry of warping or staining. Not only is the longevity of laminate extraordinary, but so is its value. With a choice from our impressive laminate collections, you can have the glorious look of wood with all of its variations in color, grain, and gloss at a budget-friendly price. Is It Stone Tile or Is It Laminate Tile Flooring? Stone or ceramic tile adds grandeur to any living space. However, the immense cost of these materials might be more than you want to take on, especially if you’re looking to renovate a large space. Laminate tile flooring replicates the highly desirable appearance of real stone flooring at only a fraction of the cost. Select the floor that looks like your favorite stone or tile and you’ll receive a high-end look without enduring a high-end price. Not only are our flooring options visually stunning, but they are also incredibly durable. The unique manufacturing process of laminate bonds several layers of high-density fiberboard together, making each composition effective in areas that experience heavy-duty foot traffic. The top-most layer of laminate flooring protects each piece from fading or scratches. The second layer contains a high-resolution image of the material you wish to mimic. The third layer, the core, is comprised of dense fiberboard to keep it strong, while the final backing layer protects the selection from moisture and offers the structural support it needs to prevent warping. Due to this strong multi-layered construction, you won’t have to worry about how your selection will fair in your home. Installing any flooring is a demanding job that requires exceptional skill to perform accurately and efficiently. After you make a purchase from the showroom, trust our experienced crew to deliver a flawless installation. You can expect nothing less than excellent results when you turn to our team for a comprehensive laminate flooring installation. We’ll leave your home with the stylish look you’ve always dreamed of. Contact our specialists to learn more about the wide assortment of laminate flooring choices we have on offer. We proudly serve clients in Seattle, Bothell, Bellevue, Edmonds, and Issaquah, Washington, as well as the surrounding areas.